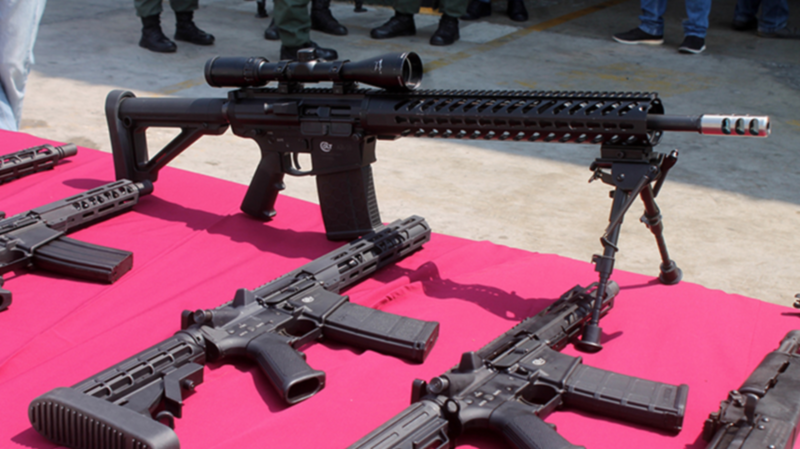 Venezuelan officials have announced the seizure of a large shipment of American weapons which they say were bound for anti-Maduro "terrorist groups". This comes following US national security advisor John Bolton's pledge to deliver "humanitarian aid" into the country, covertly if need be, despite embattled President Nicolas Maduro's vow to prevent such unauthorized shipments from entering. 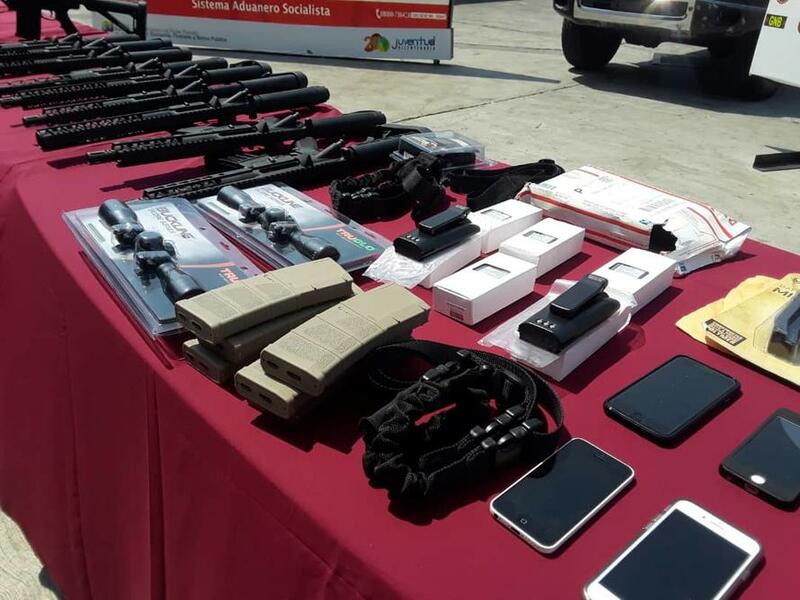 According to a quote in Turkish media, pro-Maduro officials pointed to "terrorist groups" and external financiers as likely responsible for the covert arms shipment. They said they'll find those responsible "for financing terrorist groups that seek to undermine the peace of the people of Venezuela." Turkey is among countries that have remained vocally supportive of Maduro, along with Russia, China, and Iran, while some 19 European countries have backed US recognition of opposition leader Juan Guaido as "Interim President". Caracas security forces have been on high alert for what Maduro and his officials have slammed as a US-led "coup attempt" and plotting related to external meddling, which they've further said neighboring Colombia has played a role in fostering. Late last week Bolton also stated: "Pursuant to the request of Interim President Juan Guaido, and in consultation with his officials the US will mobilize and transport humanitarian aid_medicine, surgical supplies, and nutritional supplements for the people of Venezuela. It's time for Maduro to get out of the way." As we noted previously this raises the interesting scenario or possibility of the US initiating covert weapons "humanitarian" shipments across the border, likely from ally Colombia. And it further raises the question: how long until Syria-style US covert weapons shipments make their way into the "humanitarian" supply line? If the Maduro regime's latest claim to have uncovered a covert US weapons shipment is confirmed, it appears the "Syria option" is already in full gear, which means a greater likelihood of significant bloodshed to come.